Magewell introduces the second member in its Pro Convert family of standalone hardware devices for bringing traditional video signals into live, IP-based broadcast and AV infrastructures using NewTek's royalty-free NDI technology. 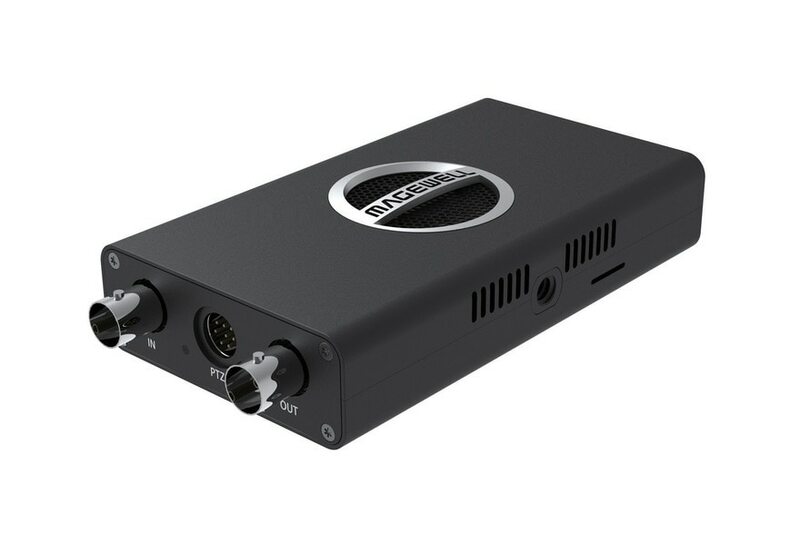 The Pro Convert SDI 4K Plus encoder converts SDI input signals up to 4K Ultra HD into full-bandwidth NDI streams with low latency, enabling users to connect SDI-equipped sources to NDI-enabled media networks, devices, and applications. The plug-and-play Pro Convert SDI 4K Plus supports video up to 4K at 30 fps with embedded audio over a 6-Gbps SDI interface. Automatic input format detection and DHCP-based network configuration eliminate the need for manual setup. Users can simply connect the device, and the encoder will convert source video automatically at its native resolution and frame rate. An SDI loop-through connection allows the input signal to be sent simultaneously to additional displays or equipment without external splitters or routers, enabling sources to be easily used in new IP workflows without disrupting existing traditional video infrastructure. For users wanting greater control of the conversion process, an intuitive browser-based interface provides access to status monitoring, advanced settings and FPGA-based video processing. Functions such as up/down/cross-conversion, de-interlacing and image adjustments are performed directly within the hardware, reducing unnecessary network bandwidth and CPU usage to maximize resource availability for other applications in the NDI workflow. 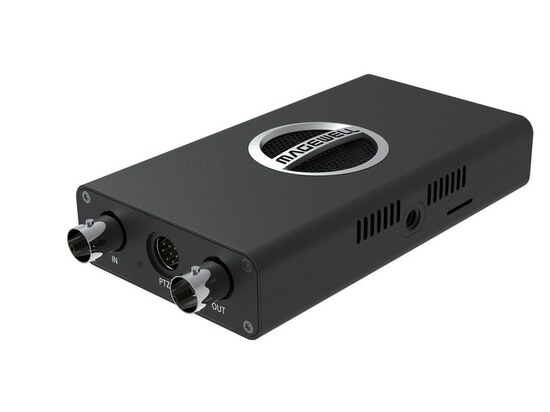 Other features include a 1/4"-20 thread for use with standard camera-mounting accessories, while preview and program tally lights provide visual indication when the output NDI stream is being used by another application. A PTZ camera can be connected to the converter and controlled via NDI, while power for the unit can be supplied via Power over Ethernet (PoE) or the included power adapter.